Whether you’re interested in expanding your social circle, breaking out of a rut, or just want to add some extra awesome to your life, these are some Boston social groups you should know about that regularly organize great events. The organizers of International Pillow Fight Day, scavenger hunts, gift swaps, and watergun fights, these guys host free open-to-all events in public spaces where hundreds gather to participate. These are particularly great events to get an existing group of friends out to. 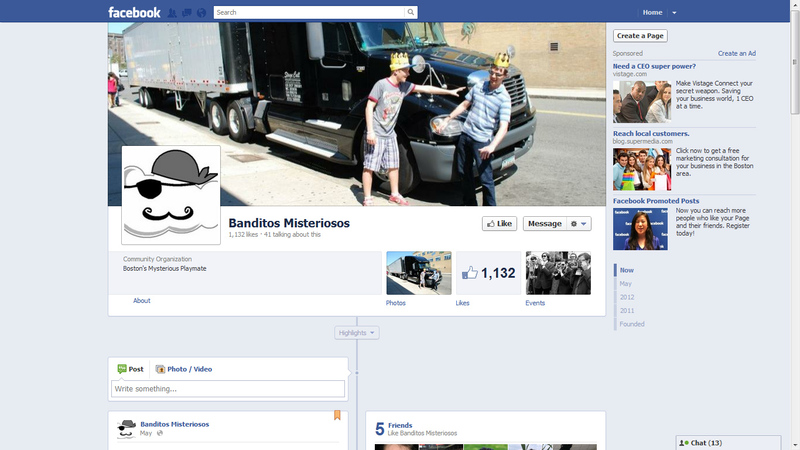 The Banditos have a mailing list that announces some new fun every other month or so, and check out their Facebook group for photos of previous events. One of the best ways to make new friends in the area is through SBS. They organize parties, sports leagues, trips (rafting, to the beach, etc. ), and more. Every month they have a free ‘Welcome Wednesday’ mixer at a local bar that’s a nice way to meet new people and get info about who’s up to what, but the real value of SBS is in finding a group of people that enjoy an active, social lifestyle. You’ve hopefully heard of reddit, the “front page of the internet” social news site. The Boston sub-reddit is filled with local news, jokes, interesting questions, etc. 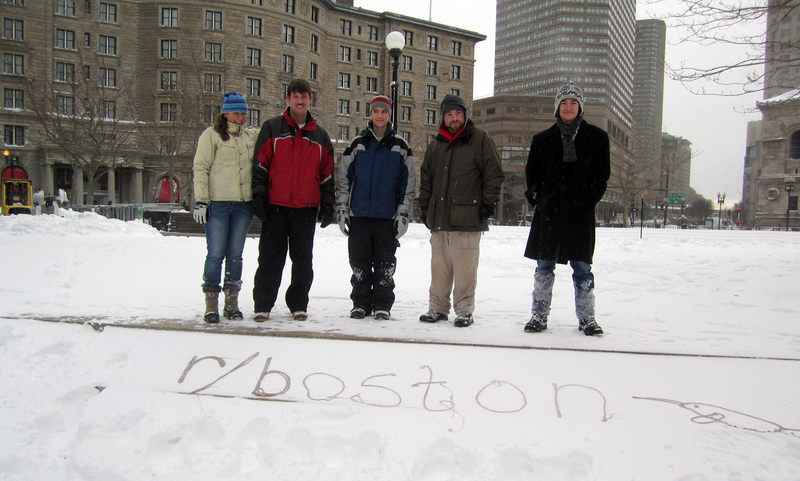 And /r/BostonSocialClub is a sister-subreddit where you can find a geeky crowd that’s up for everything from drinks to snowball fights to D&D groups. Twice a month at Aeronaut Brewery in Somerville, Skip the Small Talk organizes these $10 events where you can come out, meet people, and chat about “big talk” conversational questions they provide for you to choose from. It’s a pretty fun way to actually get to know people (and enjoy some of Boston’s best beer). These same organizers are also behind the Work Your Dreams events, lightly social coworking every other Saturday, for folks with creative or ambitious side-projects. If you’re LGBTQ, you’ll find a large, fun crowd here doing group meetups at popular Boston events (sports, museums, concerts), bar gatherings, and free monthly mingles. Another great subreddit with a real community of regulars, /r/BostonBoardGames has both weekly events and ad-hoc community postings. This is a great way to meet 4-6 other people without having to walk in feeling like the only stranger at the local board game cafes or gaming stores. And if you have a favorite game you like to play, you can easily gather a group to meet up and play at a bar or cafe in your area. If you’re in the tech / innovation scene, BGN.io is a monthly board game night specifically for that crowd. Remember those crazy flash mob videos you’ve seen on YouTube? Boston SOS actually does that kind of stuff, along with outdoor adventures, street art, and spontaneous support of good causes. If you’re looking for a crowd of spontaneous, fun-focused people, this is the crowd to join. Their website is not always the most up-to-date, but their twitter account is usually more reliable and shares other fun events happening around the city. Started in Boston, the Awesome Foundation provides a $1000 grant each month to awesome projects in each of its local chapters. What’s ‘awesome’? Everything from a giant hammock in the Common to a cotton candy cannon to a mobile kitchen teaching kids about organic farming and healthy eating. The Awesome Foundation supports and celebrates people doing interesting things in the area, and frequently hosts parties to award the grants and provide a great social mixer. Hope these groups help you have some fun / make some new friends. Maybe you’ll even see me there!